You are currently browsing the The Pet Product Guru blog archives for April, 2013. If you have two dogs and one is jealous of the other and eats the others food what do you do? This can be a frustrating situation but there are some things that you may want to try to help with the problem. Here is a step by step suggestion. Take both dogs out for a walk and give them a chance to eliminate. Place dog A in the cellar or bathroom. Confine dog B to the kitchen area. Take dog A’s food dish to him. Deliver dog B’s food dish. 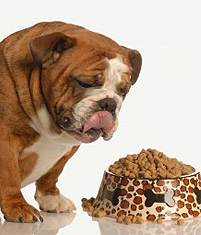 Wait for each dog to finish eating before letting them out of their designated areas. Let each dog out to eliminate. Another option is to feed the dogs separately in their crates. Make sure that they leave the crate calmly. Don’t keep them in the crate too long after they eat. They can develop a gastric or intestinal problems. They need to go out and unwind. Most dogs go out for a walk after they eat. If you have a fenced in yard, you can let them out for awhile to unwind and eliminate. If not, take them for a short walk. This may take some work and training but if you feed the dogs separately, they both will have the same amount of food and one dog will not get too heavy from eating too much food while the other becomes skin and bones from not having enough to eat. Good luck! Listen to great music while you’re at work on the EDGEWATER INTERNET RADIO NETWORK! 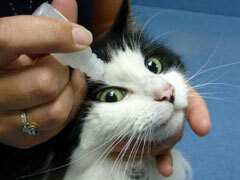 Do you notice that your cats eye is always wet and watery? It’s important that you identify the type of discharge in order to get to the root of the problem. A clear discharge with any redness or pain indicates a problem in the tear drainage system. If the discharge is clear but the eye is red, this could indicate conjunctivitis caused by a viral infection. A thick, sticky, puss like discharge along with redness could also be conjunctivitis caused by chlamydophila. Any discharge accompanied by redness or pain should alert you to the possibility of cornea or inner eye involvement. Make sure that you take your cat to the vet as soon as possible so the cause could be diagnosed and treated. Great music is playing on the Edgewater Internet Radio Network. Dog exercise pens are a great way to manage your dogs environment. They can be used when you’re at home but not available to give your dog attention. They are also great when house breaking a new puppy. 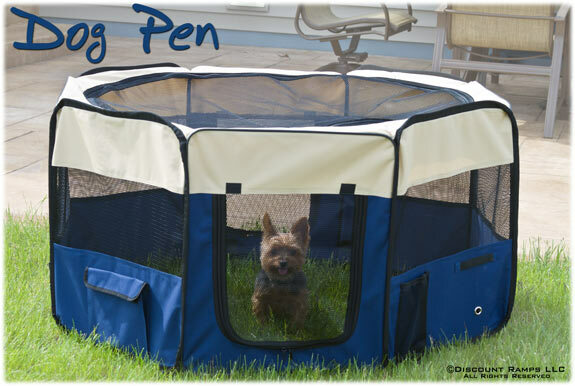 A Dog exercise pen is also very useful if you take your pet on vacation with you. You can use the pen in pet friendly motels to keep your dog in one place and to prevent him for lifting his leg on the hotel rooms furniture. 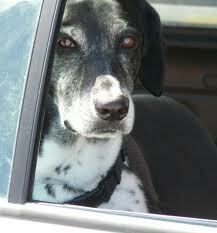 Dogs frequently have “accidents” when in unfamiliar places. Here are some things to consider when using an exercise pen. – A pen is a good way to manage your dogs environment but should never be used to keep your pet in the majority of the time. -Don’t leave your dog alone in the pen until he feels comfortable. -It’s also good idea to feed your dog in his pen. -Do not leave your dog in his pen at night if he was in there all day. -Leave enough water in the pen if your dog is unsupervised. -Leave some soft blankets and toys in the pen for your pet. THE WEEKEND IS HERE AND KEEP THE MUSIC PLAYING WITH THE EDGEWATER INTERNET RADIO NETWORK! GREAT MUSIC ALL THE TIME! 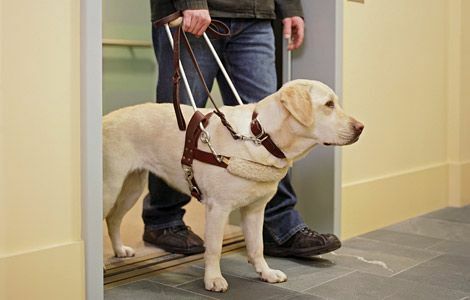 If for some reason, a seeing eye dog is removed from service, it is usually offered to the person who raised it as a puppy. If the puppy raiser does not want to adopt the dog, it becomes available to other families who may be looking for a trained companion. If the dog has the opportunity to work in law enforcement, these agencies are given priority in the adoption process. The dogs put up for adoption are usually between 1.5 and four years of age. The youngest of these dogs have learned basic obedience and are house broken. Dogs that are retired from their seeing eye job are also offered for adoption and are usually 7 years or older. Temperament problems including a lack of confidence when interacting with people or objects, dominance, or protective tendencies. 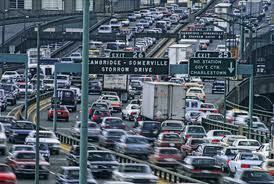 Work-related problems such as fear of traffic, noise sensitivity, or distractibility. Medical problems such as chronic ear infections, allergies or inflammatory bowel disease. The above information was obtained from The Seeing Eye Dog website. There are six great radio stations on the Edgewater Internet Radio Network. We’re perfect at work! Will Cat Urine Get Rid of Mice? There are many theories on this topic. 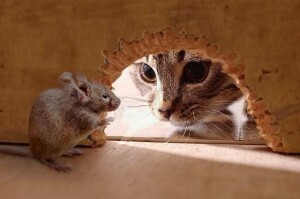 Some experts do not believe that the smell of cat urine will cause mice to “scram” but from my experience, I believe that he smell of cat urine just may keep the mice away. I own a mobile home in Delaware for over eight years now. Mice can get into a mobile home quite easily and most of my neighbors have had mice in their homes at one point or another. I never had any mice (lots of bugs but no mice). I always take my two cats with me. I leave the kitty litter out when I leave and I believe that this may keep away, pesky mice. If you want to try this, I recommend that you buy unscented kitty litter. In order for the mice to smell the cat urine, the kitty litter must not cover up the scent with perfumes and odor-block features. Keep an eye out for mice droppings. The are small, dark ovals. If you do have mice, place the litter in an area where you think the mice are entering. See if this works. Maybe you could prove the theory that cat urine does keep the mice away! Hot Country hits and yesterdays classics on CONSTANT COUNTRY KRS which can be found on the EDGEWATER INTERNET RADIO NETWORK. What is the Normal Size of a Dogs Litter. If your dog is expecting puppies, you may wonder how many puppies she will have. Litter size varies based on the breed of the dog, In general, smaller dogs usually produce smaller litters. According to PetPlace, some dogs may give birth to a single puppy while other dogs may give birth to 17 or higher! Older and younger dogs tend to give birth to smaller litters. Dogs three to four years old produce the largest litters. If your dog eats and behaves normally during pregnancy, no complications develop and the puppies are developing normally inside the uterus, the litter size is considered normal. First time mothers are likely to give birth to one or two puppies while experienced mothers usually give birth to three or more. Inbreeding, nutrition, the age of the father and certain health conditions can also increase or decrease litter size. If you like soft rock, check out MOVIN EASY NET RADIO – Soft Rock at it’s best! It’s on the EDGEWATER INTERNET RADIO NETWORK. A purebred dog is eligible for AKA (American Kennel Club) registration. You should get a registration application form from the seller. Within three weeks, you should receive a AKC registration certificate. 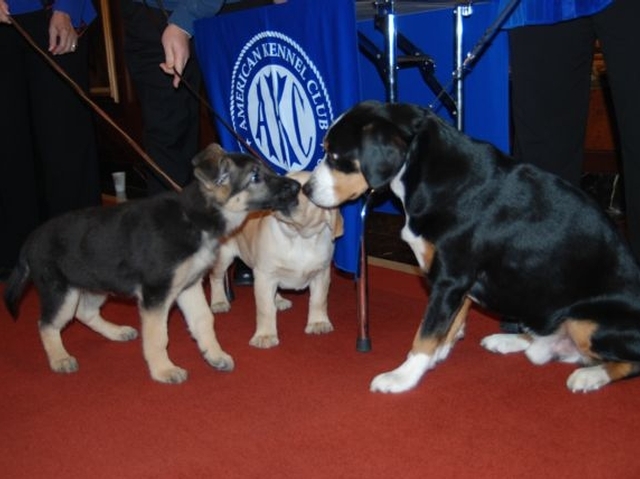 You may now take advantage of the AKC pet healthcare plan. They give a 60 day trial offer at no cost to you. This benefit is also available to dogs whose ownership has been transferred, if the trial plan was not activated by a prior owner. ALL OLDIES ALL THE TIME ON EDGEWATER RADIO. YOU CAN FIND IT ON THE EDGEWATER INTERNET RADIO NETWORK! Can Cat and Birds live together? 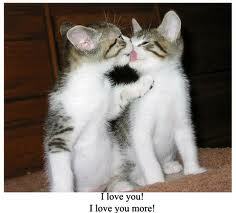 You have a cat but also love birds so are reluctant to get a bird because you know that cats chase and kill birds. Is there a way that both can live harmoniously in one house? The answer is “yes.” As long as their owners are willing to take the precautions necessary for the safety of both. You must understand that the two are enemies, predator and prey. It’s important that both are kept under close supervision to ensure that there are no disputes. If your cat tries to attack for the bird, give her a quick spritz with a water bottle. Most of the time, this will be enough to solve the problem after awhile. 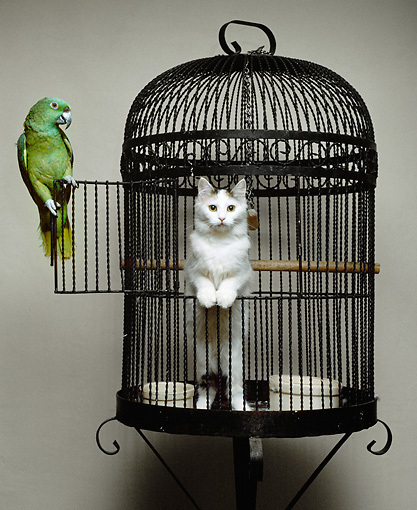 If your bird shows aggression towards your cat, you should discipline the bird. Birds can catch certain diseases from cats if they bite them or even touch their fur. This is the reason that you must try to avoid any physical contact between a bird and a cat if at all possible. With consistent training and supervision, the two could learn to live together safely. Just be persistent and patient! Oldies, popular standards, soft rock, disco, country and the the 70’s are all part of the EDGEWATER INTERNET RADIO NETWORK! Summer’s coming, Be Prepared for Traffic and Keep Pet In Mind! As you may already know, I have two cats and I frequently drive 215 miles to Rehobeth Beach, Delaware. I always take my cats along with me. I also live in Northern New Jersey, one of the most heavily congested traffic areas in the country. Usually the trip to Delaware takes about 4 hours. However, I frequently get delayed especially getting out of my own traffic ridden town of Edgewater, NJ. I then have to deal with the New Jersey Turnpike which in itself can be a nightmare! (Have you ever gotten stuck at the infamous “merge” down around exit 8? Whoever was responsible for designing this road must have had rocks in their head!) My point is that I’m really concerned about my pets being in the car for long periods of time. Sometimes it can take as long as six hours to get down there thanks to the New Jersey Turnpike! I always bring water but my cats usually don’t drink at all while on the road. They usually do OK but are very thirsty when we get there. The first thing I do is give them a large bowl of water. Dogs on the other hand seem to get thirsty more frequently than cats. If you are going on a long trip with your dog, always bring along his dog water bowl and make frequent stops so he can have a drink. Your pets cannot tell you when they are thirsty so always be prepared – especially if you are driving on the New Jersey Turnpike!! Remember. your pets count! FOR GREAT MUSIC LISTEN TO THE EDGEWATER INTERNET RADIO NETWORK. Can cats catch diseases from one another? The answer to this question is “yes.” A few weeks ago, my cat Mollie developed an intestinal virus. She began vomiting and had a diarrhea for about four days. About four days later, I noticed that my younger cat Millie developed a diarrhea. There was no vomiting with Millie, just abnormal loose stools for about three days. Since my cats never got sick before, I’m convinced that Millie caught the virus that Mollie had. If a cat is ten yards away from another cat with a disease, then the chances are that the disease will not be transmitted but when cats greet each other, they normally sniff each others noses. Even if their noses do not touch, this could transmit the disease. Soft Rock, perfect at work – MOVIN EASY NET RADIO found on the EDGEWATER INTERNET RADIO NETWORK.